Kelly Grevler was a student when she saw firsthand how a new skill could change a life. Kelly Grevler / Beautiful News. Performing as a guitarist in a band, Grevler met new people, explored different places, and discovered further career opportunities. So she took to the streets of Johannesburg to empower others through music. 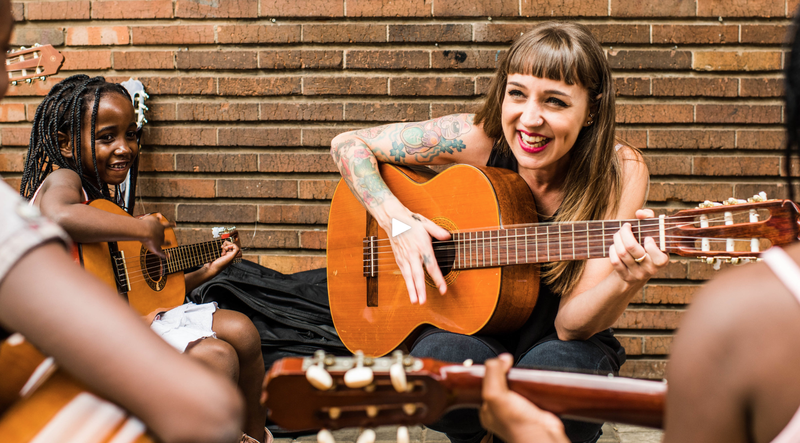 With her guitar in hand and a few extra to spare, Grevler began teaching interested children how to play – at no cost. “I really believe music is a universal language and it’s a language that everybody can understand but in their own way,” Grevler says. This has proven true with Sidewalk Sessions, an initiative the guitarist started in 2013. Children of varying ages, races, and backgrounds join Grevler for free lessons.